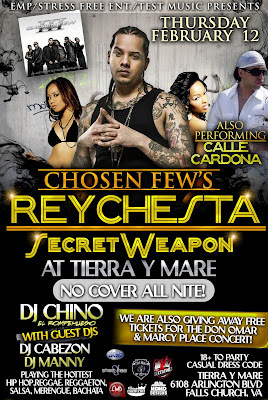 This Thursday, Feb. 12, 2009 DJ Cabezon will be unveiling his second installment of Latin DMV's Finest. If you're in the DC metropolitan area stop by to say what's up. I'll be there celebrating the release with DJ Cabezon.